Practice makes a man perfect! The old phrase is simply perfect for the popular B-town celebrity Kareena Kapoor Khan. The stunning actress is a fitness enthusiast and never fails to inspire us. Kareena Kapoor Khan has always been the talk of the town mainly because of her disciplined gym sessions, perfectly toned body and her sincere dedication towards fitness. It goes without saying; that the key to her fitness is constant effort, hard work and most importantly enjoying her workouts. Pilates; a full-body workout is what the actress swears by. The actress has been spotted numerous times outside the celebrity trainer Namrata Purohit’s Pilates studio. In the recent Instagram post shared by Namrata Purohit, Kareena Kapoor Khan was seen sweating it out in the gym. 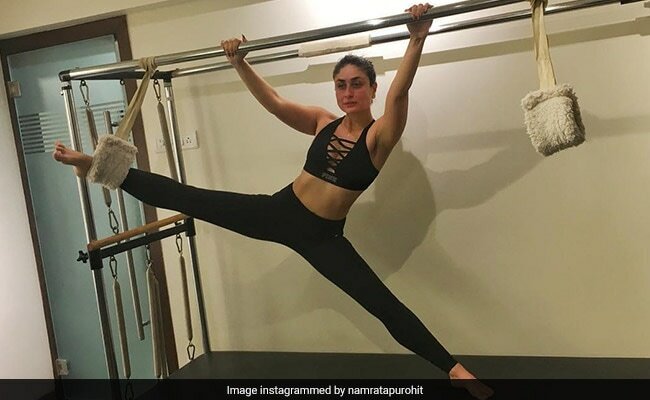 In the caption of the post, celebrity trainer Namrata Purohit said, ” We’ve come a long way.” The gorgeous actress never misses her gym sessions despite her busy schedules. This surely helps her achieve her fitness goals. Also read: Kareena’s A Pilates Girl, Even When She’s Unwell. But Should You Workout When Not Well? Also read: Belly Dance, Pole Dance And Pilates! Secrets Behind Dilbar Girl Nora Fatehi’s Toned And Flexible Body, Revealed!